It's always important to ask for help. Ask for what you deserve. Don't sit around and let things pass you by. Sometimes it's a lot easier to think things might fall into your lap, or you'll just magically get what you deserve. 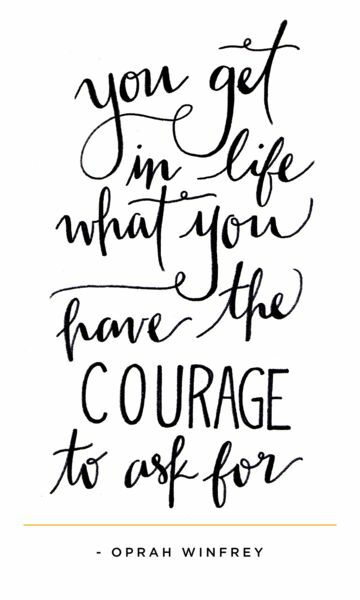 Ask for things.